Very practical open-toe pantyhose, made to be worn with open-toe shoes and to show off your pedicure! Sometimes there are days when the legs must be covered but you still want to wear your favorite open-toe pumps, right? 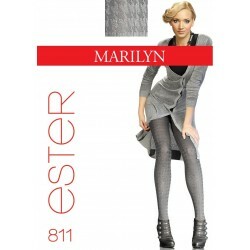 Eveline pantyhose are sheer to waist, have flat seams and a cotton gusset in sizes 3 and 4. This very practical open-toe pantyhose is made to be worn with open-toe shoes and booties and to show off your pedicure. Sometimes there are days when the legs must be covered but you still want to wear your favorite open-toe pumps, right? Eveline pantyhose is sheer to waist, has flat seams and a cotton gusset in sizes 3 and 4, and is made of single-covered yarns for better durability. Alternative 8 Denier open-toe pantyhose here.